Successfully Added USB Fingerprint Security Optical Mouse to your Shopping Cart. Use the security methods of the professionals with this 3 button scroll wheel optical mouse with built in fingerprint reader. Easy to plug in and set up with the included software, you'll be fully protected in no time. 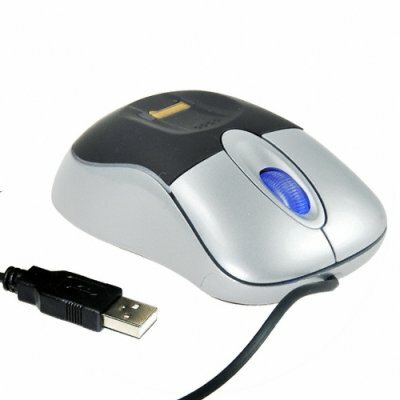 This mouse can be used as a windows or website log-in and for decryption gate for encrypted files or drives. Simple to use and up to ten fingerprint templates can be stored so the whole office can be registered by fingerprint for total security. Buy today at Chinavasions wholesale prices and sell on for awesome profits on eBay or keep for your self and ensure your data protection. Use fingerprint authority to log in to computer. Fingerprint protect files, folders or entire drives.